Saying goodbye is never easy but no one can take your memories away and that is what you must always hold onto. This post is about my Mom's parents, my Grandma and Pop-Pop Altman. 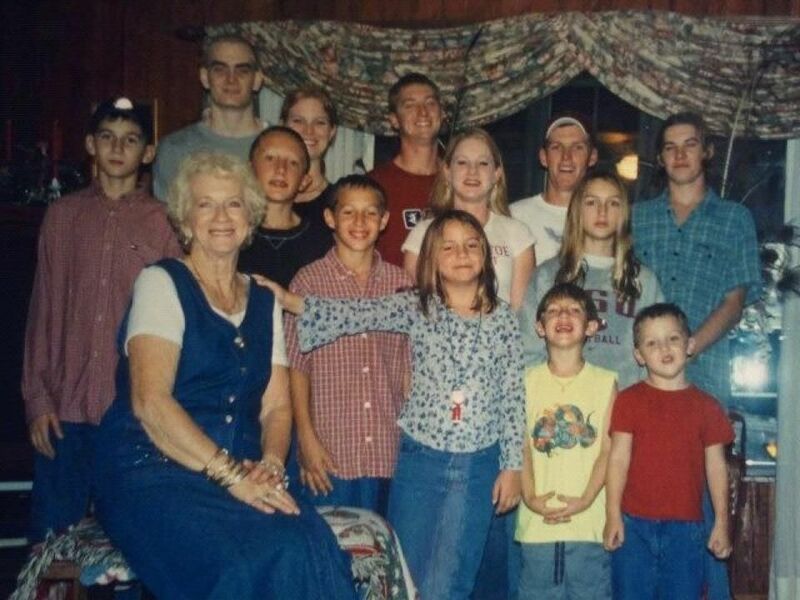 We lost Grandma in the fall of 2008 and my Pop-Pop left the world in 1999. Grandma held onto Pop-Pop's ashes so they could be together when the time came for her. Then we held onto their ashes to be spread at the right time. Problem being, I have a HUGE family and we never made a plan to get together. Well, the time has come as we have sold their property. 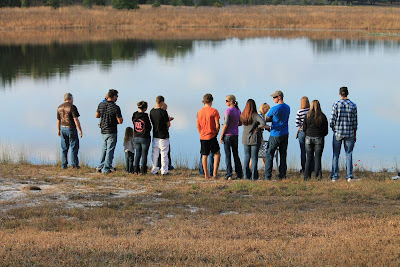 We got together one last time, on New Years Day, to spread their ashes on the property my Grandparents lived at. The house which my Grandfather built for my Grandmother with his own hands. My Grandparents lived in Lake County, FL in a tiny city called Umatilla. Unless you live in Central Florida, you are most likely unfamiliar with the area. Lake County is home to a lot of lakes and orange groves. As a child, I remember passing the feed store, seeing the single traffic light and solitaire gas station. This meant we were 10 minutes away from Grandma's, where we would be welcomed with the smells of homemade southern food. Memories of Aunts and Uncles getting married by the lake and years later, their children exchanging vows of their own. Being the second oldest of 13 Grandchildren, I watched so many of my cousins grow up, many of who now have beautiful families of their own. Memories of endless laughter. Sitting on the kitchen island with my cousin making drop biscuits. Playing rummy. Swimming in the lake. Picking fresh juicy oranges from the grove. Driving around on the 4 wheeler. Hearing fish stories. Being attacked by the tickle monster. Dressing up in Grandma's shoes and jewelry. Waking up to red eye gravy and grits. Learning how to drive. Raiding the candy drawer. I could go on and on. Pulling up to the house, which sits on nearly 20 acres was heart wrenching. This was the last time I would drive down the winding dirt road. Bring on the tears. This was the last time I would ever see this house. A place where I would have problems falling asleep at night because it was too quiet and too dark - until the coyotes and bears came out or the Peacocks started causing a ruckus. Then it was too noisy. But it was a place I loved, unlike any other. The orange groves are now gone and two of the three lakes the house sat on are dried up. Nostalgia hit me like a tidal wave. Today, this house sits empty and ready for a new family to make memories of their own when the closing happens sometime next week. We said our final goodbye's, completely choked up. Not only were we spreading Grandma and Pop-Pop's ashes, we were saying our final goodbye to the house on Charm Lake Drive. A house which held so many memories. My Uncle spread the ashes in the lake. We all threw in a flower, saying our own personal farewells. Then the strangest illusion happened. The base of the lake, where the ashes were sitting, looked like the skyline. You could not tell the difference between the ashes or the reflection from the clouds above. I honestly felt like our Grandparents were waving down at us from heaven telling us that it was ok, that it was time to move forward and let another family start their own memories here. This moment was simply beautiful yet heart wrenching, which was the perfect way to remember this moment by. So this is my final farewell to the property on Charm Lake Drive. It's hard to imagine when the day comes and I have children of my own, they will never know this little piece of paradise. They will only know the endless stories I will tell them, with heavy embellishment in true Altman style.